Datarecovery.com, Inc. announced today that it is ending its discount program and business with the National Rifle Association and its members. Edwardsville, IL, February 24, 2018 --(PR.com)-- Datarecovery.com, Inc. announced today that it is ending its discount program and business with the National Rifle Association and its members. “Due to the recent statements made by the NRA, attacking specific groups like the media and democrats, we feel that working with the NRA is no longer in our best interest,” said CEO Ben Carmitchel. “I feel that the NRA has crossed the line, resorting to hate speech to promote its agenda.” The company is taking the unusual step of not only ending its discount program, but flatly rejecting to do any business with the organization. “Because of this, we’ll not only be ending our discount program, but we will reject any services requested by the NRA,” continued Carmitchel. Previously, the NRA and its members enjoyed a group discount of 20%, which Datarecovery.com offered to any group of over 100,000. This resulted in a savings of up to $700,000 per year. In addition, the company announced that it will be matching donations made by customers to the Everytown for Gun Safety Support Fund. The donations will be matched and forwarded to Everytown. “We believe that Everytown’s views and position on gun control are in line with the majority of public opinion,” said Carmitchel. Therefore, we’ve chosen this group as our next donation recipient. Datarecovery.com is a world leader in data recovery services, with locations in the US and Canada. The privately held, employee-owned company has actively donated to causes, including providing free services to the recent victims of the 2017 Hurricanes and California wildfires. 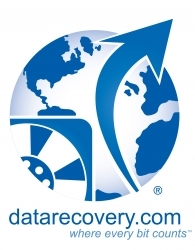 Click here to view the company profile of Datarecovery.com, Inc.
Click here to view the list of recent Press Releases from Datarecovery.com, Inc.